June 27, 2014 -- Unite News, submitted to Links International Journal of Socialist Renewal by the author -- The following history was prepared as part of the contribution by Unite Union to the international fast food workers' meeting in New York in early May. Union officials and workers were fascinated by the story we were able to tell which in many ways was a prequel to the international campaign today. 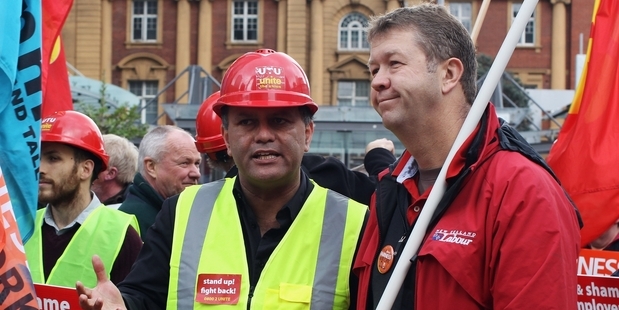 Matt McCarten and Labour Party leader David Cunliffe protest for workers' rights in 2010. Photo: Getty Images. March 4, 2014 -- Links International Journal of Socialist Renewal -- Long-time New Zealand left stalwart and leader of the militant Unite trade union stunned friends and foes alike with his sudden announcement that he is joining the staff of the New Zealand parliamentary Labour Party leader David Cunliffe. Below Links International Journal of Socialist Renewal posts McCarten's final weekly column from the NZ Herald on Sunday, as well as a number of reactions from the NZ left. 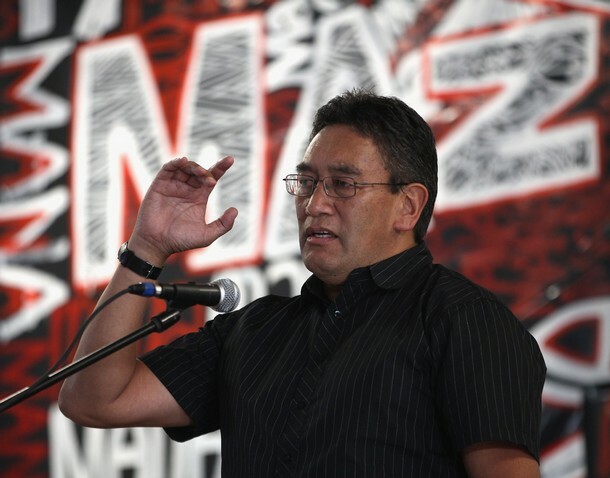 Hone Harawira speaks at the Mana Party launch. MANA- 1. (noun) prestige, authority, control, power, influence, status, spiritual power, charisma. May 11, 2011 – Links International Journal of Socialist Renewal -- Mike Treen is national director of the Unite Union in Aotearoa/New Zealand and a member of the newly formed Mana Party. Socialist Aotearoa’s Joe Carolan interviewed him on the significance of the foundation of this new left-wing party. Joe Carolan: Mike, can you tell us a little about the formation and programme of the new Mana Party? November 11, 2010 -- Matt McCarten’s Mana by-election campaign has taken up the issue of housing, identifying many empty state houses in the electorate, while families are homeless. Four campaigners were arrested after they took over an empty house. In a wide-ranging Radio New Zealand interview on October 17, 2010, Matt McCarten discusses atheism, socialism, neoliberalism, the IWW, working class history and the need for a new left party.